Approaches to DASH eating plan and increased engagement in physical activity have shown to effectively lower BP and thus are recommended as the first choice for prehypertension management. 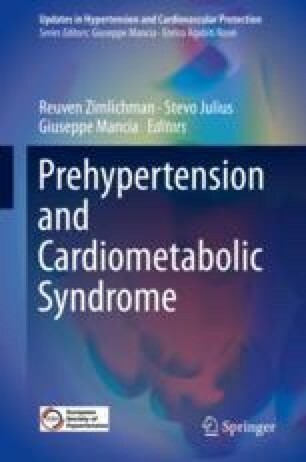 Individuals with BP in the upper range of prehypertension (130–139/85–89 mmHg) have a significantly higher risk for cardiovascular disease (CVD). Pharmacological antihypertensive treatment, specifically trials assessing renin-angiotensin system blockers, has also demonstrated good efficacy and safety. Numerous studies have shown the relative risk of progression to incident hypertension can be reduced by 20% with intensive lifestyle interventions and by 34–66% with single antihypertensive drug treatment. More recent research has focused on early detection of additional risk factors among them serum C3 and serum uric acid that may serve as biomarkers in high-risk individuals to improve primary prevention of prehypertension and prediabetes.